20th Century Fox’s upcoming Rise of the Apes has went from being a potential summer release to becoming a potential Thanksgiving release and now back to being slotted into the summer calender. While Fox never really revealed their reasoning behind pushing it back to the November slate a few months back, it seems they’ve changed their minds and now have it premiering into theaters August 5, 2011. The new date means the Planet of the Apes origin tale will open up against 3D releases, The Smurfs and The Darkest Hour. Ryan Reynolds and Jason Bateman also have a body-switching comedy called The Change-Up striking that weekend. 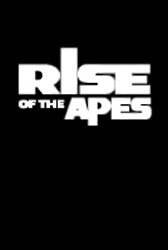 Can “Apes” hope to pull in strong numbers against that 3D competition? Sound off with your theories below. The film will star James Franco, John Lithgow, Freida Pinto, Andy Serkis, Brian Cox, Tom Felton and David Oyelowo. Helmer Rupert Wyatt led the direction based on a screenplay by Amanda Silver and Rick Jaffa. Plot Concept: Set in present day San Francisco, the film is a reality-based cautionary tale, a science fiction/science fact blend, where man’s own experiments with genetic engineering lead to the development of intelligence in apes and the onset of a war for supremacy.